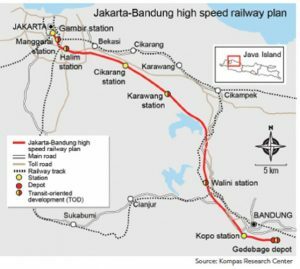 The Indonesian-Chinese joint venture Kereta Cepat Indonesia-China (KCIC) will complete the construction of a high-speed railway in Indonesia on the Jakarta-Bandung route by 2021. KCIC President Chandra Dvputra said that after the completion of the project, Indonesia will become the first country in Southeast Asia to have a high-speed railway. 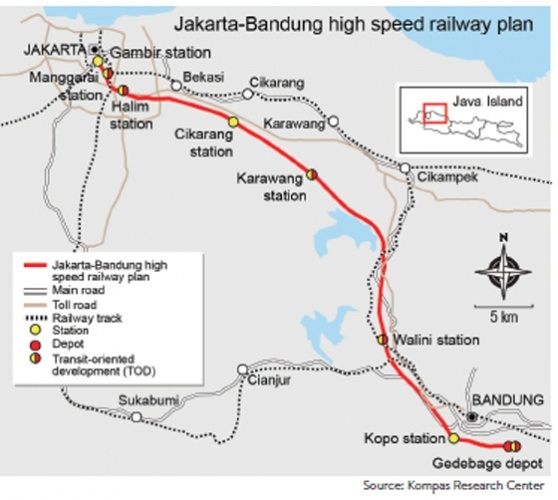 The 142.3 km long railway line will connect the capital of Indonesia with the country’s fourth-largest city, Bandung. The speed of trains on this section is expected to reach 300 km / h, and travel time will be reduced to 40 minutes. We remind that the project of Jakarta – Bandung high-speed railway was first announced by the President of Indonesia, Joko Widodo in early 2016.